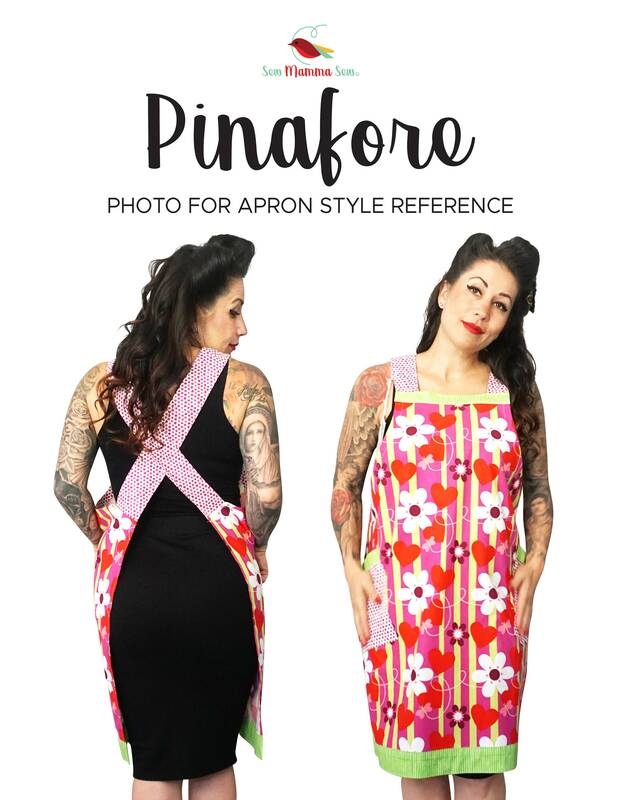 Fun, funky and flowery pinafore style apron is really cool! 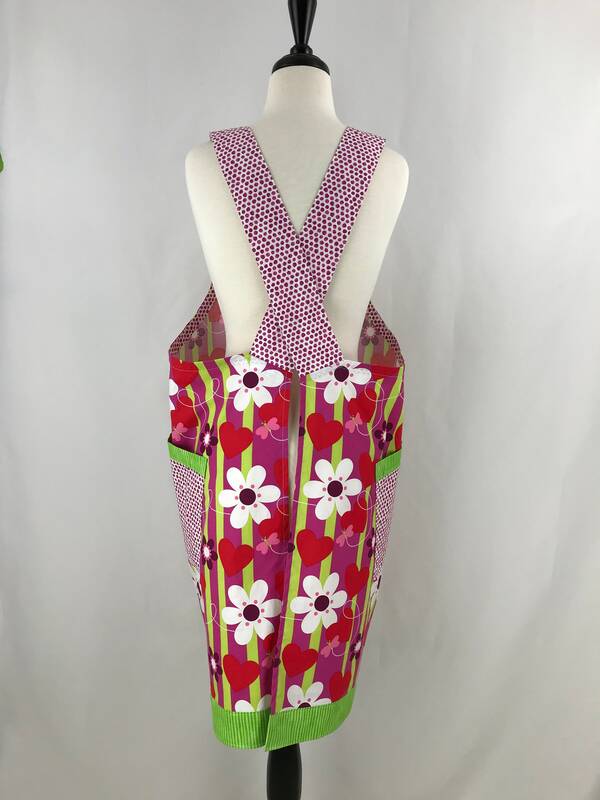 This is so easy to slip into as it has no ties and fits most body shapes. 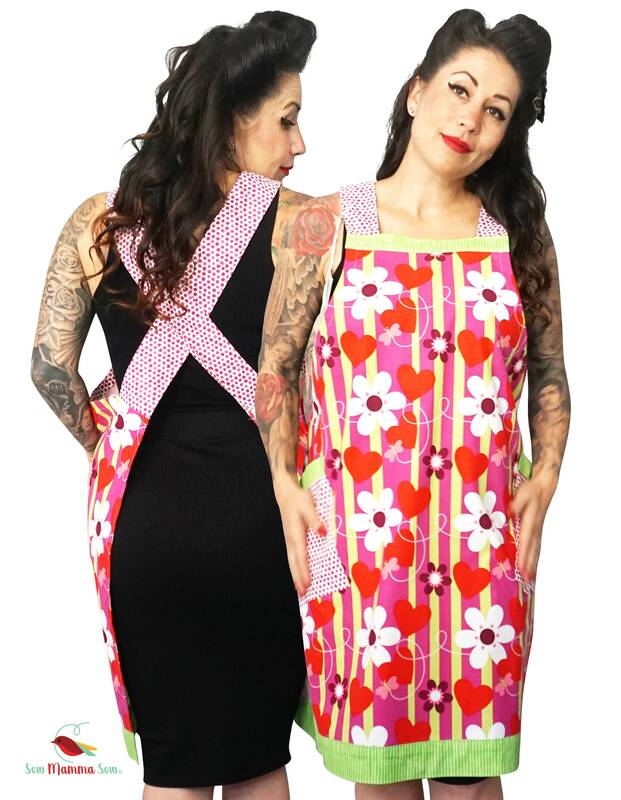 This would be great as an artist apron or just a comfy and easy apron to wear around the house or to entertain in! I will be doing more of these in different fabrics so keep watching! 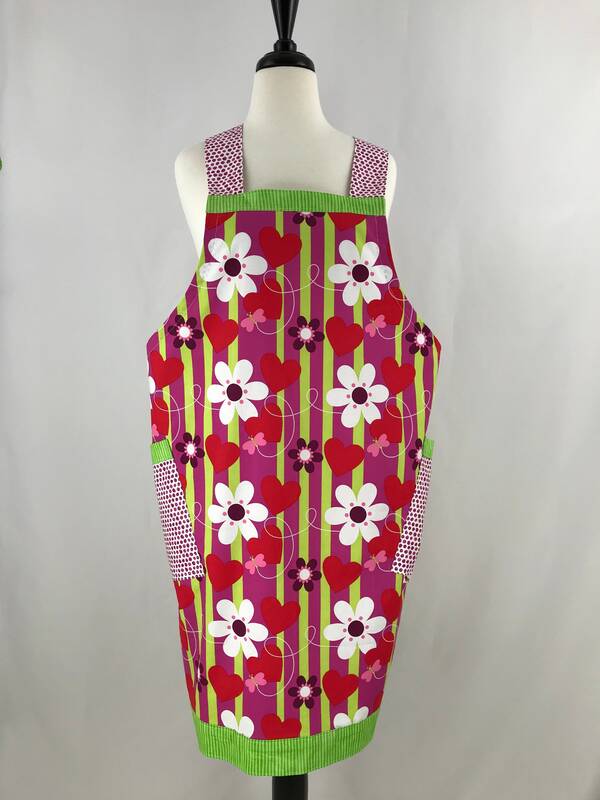 Good for teenage girls to look good and still be having fun cooking in the kitchen with Mom. 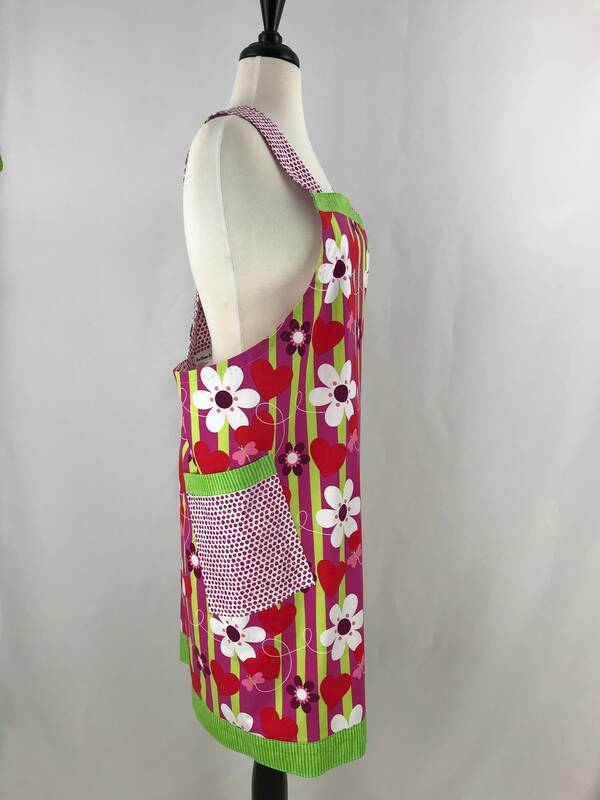 With two big side pockets, there's plenty of room for lots of goodies! This is a one size that fits most. No ties, just cross straps to slip into easily.